With so many really great HR solutions on the market, why are documents management solutions still a must for HR? The simple fact is most documents being handled by HR do not originate from the HR system itself. Whilst HR systems are very good at maintaining the documents they generate, they are not so great at handling external documents. When you also consider the overuse of email to transfer data from one person to another, it becomes difficult to track and therefore guarantee security, status or privacy. Which is why paper folders or files are still in use in so many HR departments. 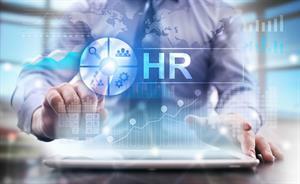 However, by providing using a document management and workflow solution with a simple integration to the host HR system these issues can be completely removed. The solution provides full audit trails and comprehensive filing references, utilising your existing employee name and numbering structure. Automated document capture means that documents can be filed with minimal or no effort. The easy to use front end means it’s simple to achieve and maintain a complete employee file. With links to your HR systems, it provides access to individual or complete employee documents within seconds. With personal data being such a hot topic with GDPR now in place, why not find out how YourDMS can help, contact us today and let’s talk.